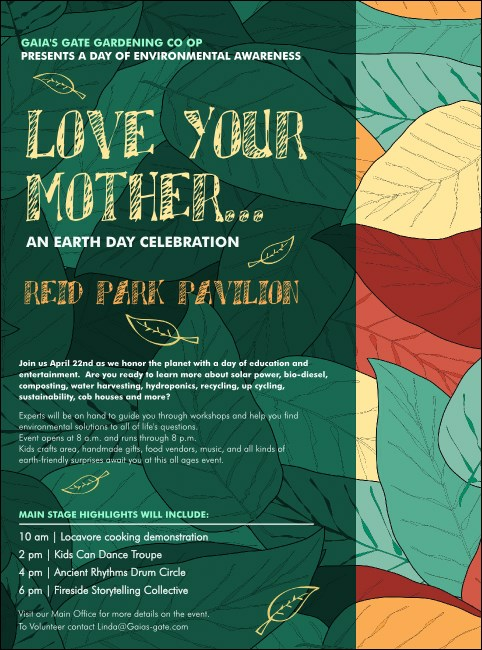 Want to share your love of Mother Earth with a wide audience? If you're planning a sustainability festival or otherwise interested in ecology and clean living, advertise in advance with the Earth Day Organic Flyer. Featuring an inviting forest of green and orange leaves, it's a smart way to express yourself and reach your base. Keep it clean with green printing from TicketPrinting.com.